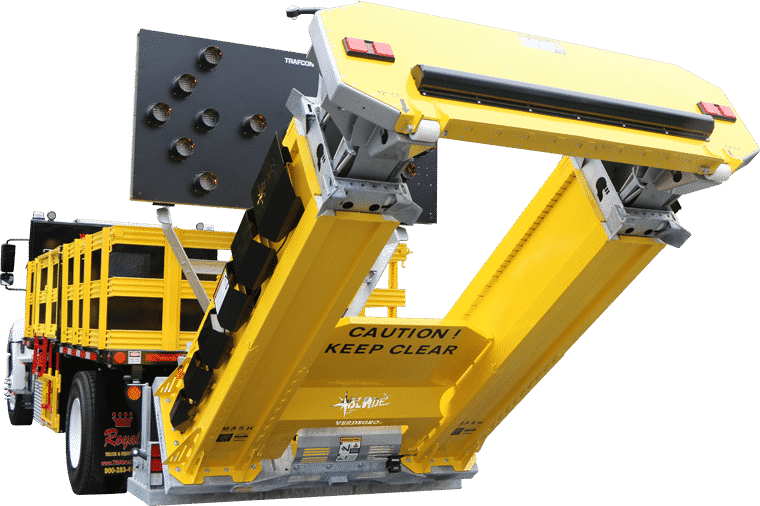 One of the most essential elements of a properly built TMA truck is the safeness of the attenuator it is equipped with. 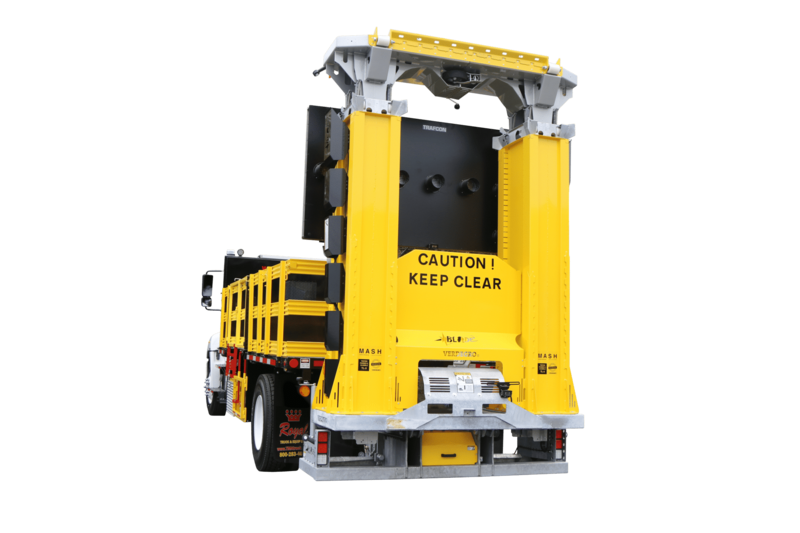 With how important an attenuator is to the build of your truck and safety of the workers in your work zones, as a company, you should know everything you can about the attenuator on your truck. Do you, though? We are here to help! Let’s learn about the industry’s newest vertical solution for TMA trucks: Verdegro’s BLADE TMA. While Verdegro was founded in 2003 in The Netherlands, the introduction of the BLADE TMA did not occur until much later. In August of 2014, after years of manufacturing other attenuators, Verdegro began development of a new truck mounted attenuator, the BLADE. In March of 2017, the first BLADE TMA was made available for the American market. 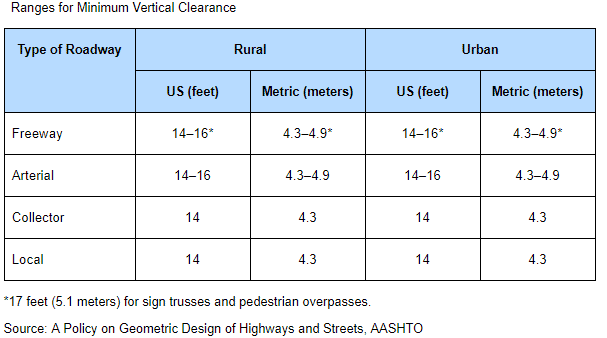 Just months later, specifically on July 7th, 2017, the BLADE received its FHWA letter of eligibility after meeting the testing requirements as set forth in AASHTO’s Manual for Assessing Safety Hardware (MASH). More on this later! Now that we know a little about its history, lets learn more about the specifications of the unit itself. When deployed, the attenuator measures in at 19 feet 4 inches in length with a width of 7 feet 6.7 inches. What you will initially notice when examining the attenuator in person is that it is noticeably longer than many other attenuators on the market today. While appearing different than others, the BLADE has passed all necessary tests, of which many other attenuators have not. In fact, the BLADE’s length may actually make your work zone safer by forcing the impact slightly further away from the work crew. In terms of the width, the BLADE’s width is approximately the same as the width of the body of most trucks. While initially this may seem insignificant, this is actually a crucial part of the safeness of a TMA truck. 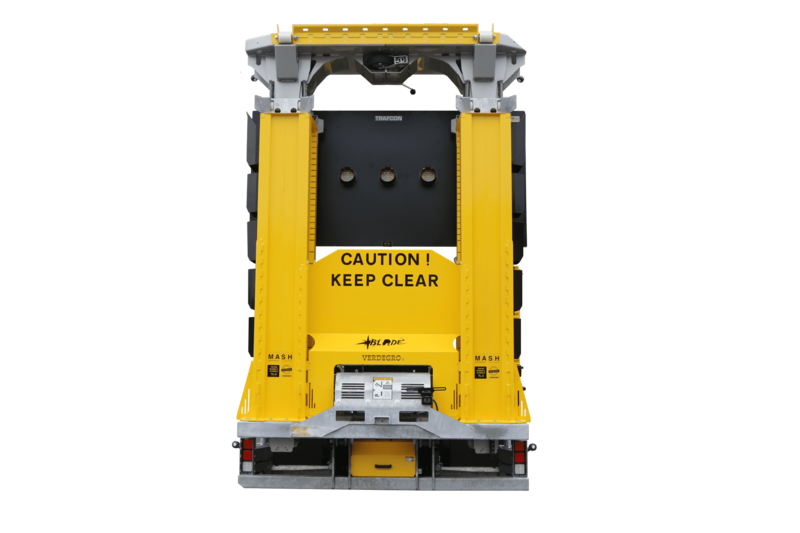 If the attenuator is less wide than the body of the truck, there is an increased likelihood the impacting vehicle may run into the corner of the body of the truck. Hitting this corner, aptly known as the “coffin corner”, often leads to significant injury or death for the driver of the impacting vehicle. As such, the BLADE’s width is actually very beneficial to the TMA truck’s safety as a whole. Unlike other attenuators that simply compress upon themselves in order to absorb the force of impact, the BLADE operates in a completely unique manner. Starting from the rear of the attenuator (furthest away from the truck) is the nuisance bar. This bar is designed to take a hit of up to 15 miles per hour. Behind the nuisance bar, and the plate it is mounted on, is what is known as a wafer board. This board is crucial to the build of the attenuator as it forces all of the energy of the impact to the center of the unit. As many of you know, crashes into the truck’s TMA are very rarely directly head on. This steel board ensures the energy is centralized and the BLADE can do its job properly. Connected to the wafer board are the 2 H-beams. In a crash, these H-beams will slide back to absorb the impact. As these beams slide backwards, towards the truck, they will be cut down the middle by 4 cutters on each side. These cutters act as blades on both the top and bottom of each H-beam. In the event of a more impactful crash, these H-beams will continue to slide back and there will be 2 more cutters on each side which cut into the aluminum tubes that the H-Beams travel through. The chisels on the H-beams will first cut through 2 bolts on each side. This will cause the tube to peel apart and roll upon itself into a safe position. The goal of this all is to keep debris away from the driver of the impacting vehicle. The last line of defense, assuming a very impactful crash, is the steel truck stopper. This dissipates all remaining kinetic energy. From there, the truck moving forward will remove any remaining kinetic energy. One thing to consider is that the BLADE TMA is completely modular. This means that if the crash is not severe, only the parts damaged need to be replaced. If your BLADE TMA is crashed into, bring it to us! Royal is becoming a BLADE Certified Repair Facility and can repair your attenuator if it is indeed salvageable. Through this operation, the BLADE became one of the two current MASH approved attenuators on the market today. Don’t know what MASH is? Read to learn why MASH approval is so important and how it will impact your company. AASHTO’s Manual for Assessing Safety Hardware (MASH) was created to update and replace the NCHRP 350 testing guidelines for approving truck mounted attenuators. To briefly summarize the changes that MASH made, the crash scenarios tested were updated from NCHRP 350 to better reflect the types of crashes into attenuators in the current world. This includes increasing the weight of impacting vehicles as well as mandating two tests to be done that reflect the imperfect nature of the impacts. Additionally, this document put forth the deadline that, “temporary work zone devices manufactured after December 31, 2019, must have been successfully tested to the 2016 edition of MASH.” In essence, this requires all new TMA trucks to be equipped with MASH approved attenuators beginning on January 1st, 2020. Currently, the BLADE is one of only two MASH approved attenuators. Footage of the BLADE TMA undergoing MASH testing. While MASH specifies December 31st, 2019 as the date where MASH tested and approved attenuators must begin being used, we recommend as best practice that these approved attenuators be used as soon as possible. Not only will they soon be required, they have passed the toughest tests currently used, which mimic real life scenarios, and thus are better suited for being in your work zones. 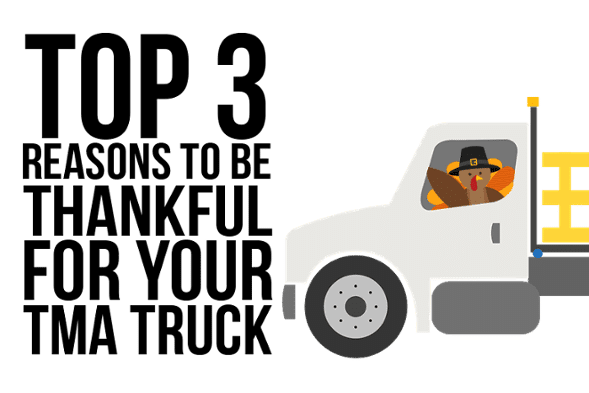 For a more thorough discussion about MASH guidelines, and how they will impact the TMA trucks in your fleet, click here to read more! By virtue of it being MASH eligible, you should know that Verdegro’s BLADE tested below the maximum allowed value for longitudinal & lateral occupant ridedown accelerations. What you may not know though is that the BLADE TMA had all test results below the preferred value of 15.0g, making it one of the safest TMAs on the market. Several times throughout this post, we have referred to the BLADE as the industry’s newest vertical solution for TMA trucks. What does this mean though? As previously explained, when stowed, the BLADE stands entirely vertical. This is so important because this allows for full use of the bed of the truck to transport cones and barrels to and from the operation. Note, that while the truck is in use as your attenuator truck in an operation, nothing should be on the bed of the truck. In the event of a crash into the attenuator, these items would become dangerous projectiles to oncoming traffic. Verdegro’s BLADE TMA is the industry’s newest vertical solution for TMA trucks. Not only does it give the user the benefit of being able to utilize the full length of the bed to transport cones and barrels to operations, but it does so while also being one of the select few current MASH tested and approved attenuators on the market. 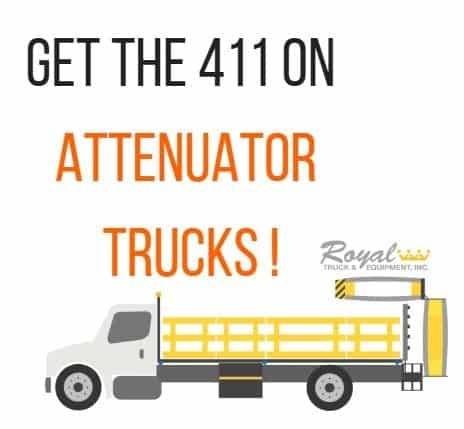 The 411 on Attenuator Trucks!